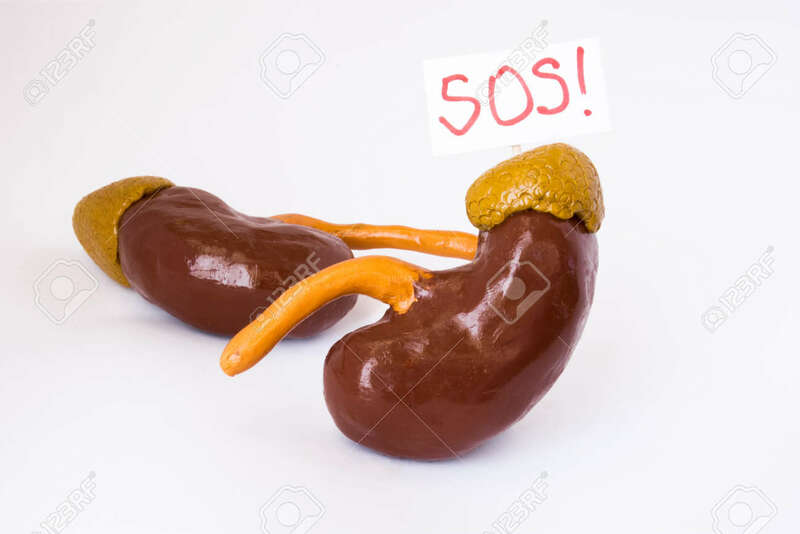 Natural Anatomical 3D Kidneys Model With Placard Inscripted SOS Referring To Patient Or Doctor For Help. Conceived For All Symptoms, Syndromes, Diseases And Pathologies Of Kidneys And Adrenal Gland Royalty Free Stok Fotoğraf, Resimler, Görseller Ve Stok Fotoğrafçılık. Image 92921712.